If you are looking for the ideal witch themed slot game, then this might be just what you are looking for. 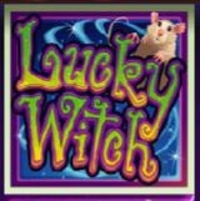 Lucky Witch is a slot that can be enjoyed all year round, but the stylish graphics and instantly recognisable symbols will hold greater significance at Halloween. 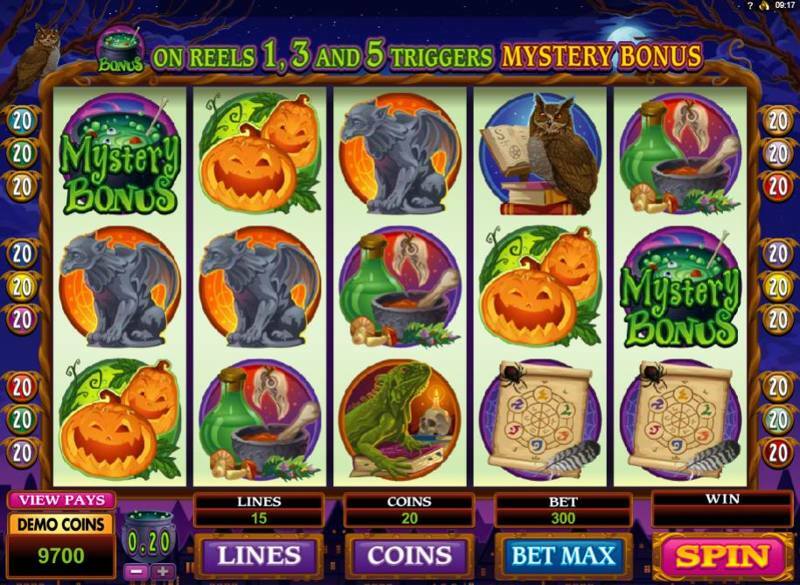 This 5 reel and 15 pay line slot machine provides a wide range of spooky goings on to look out for, and with wild and scatter symbols on offer and a whole host of bonus games, this is a slot machine that is undoubtedly a treat and not a trick for slots fans. The occult and the supernatural are very much in vogue these days, but this slot treads the line between the traditional view of witches and the modern day era. The graphics look great and the main Lucky Witch is certainly a lot more aesthetically pleasing than the witches seen in fairy tales. There is a host of pumpkins, potions, magic spells and secrets to unlock in the course of this game. It may be easy to shove this one in a draw until Halloween season, but the gameplay and versatility should ensure it is a firm favourite all year round. With 15 pay lines and the ability to play up to 20 coins, players can wager a maximum of 300 coins on every spin. The highest coin size in the game is 0.20 so the total bet allowed with every spin is 60.00. This is neither the highest or lowest level associated with slots so players should be able to play this game with comfort. The wild symbol in the game is the Lucky Witch, which substitutes for the highest four paying symbols and doubles the pay-out when it does. This symbol will be stacked on to the reel and this means that spins without pay outs are an infrequent part of the game. The higher end symbols to look out for are the lizard, the owl, the cat and the witch with the witch providing a jackpot pay out of 1,000 coins. 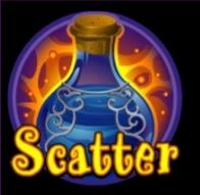 The scatter symbol to look out for is the potion and this symbol provides scatter pay outs when there is a minimum of two on the reel. When you have five scatter symbols, you receive 200 coins. Players receive free spins when a minimum of three scatter symbols are found on the reels and as you might expect with a witch themed game, you get 13 free spins. The Mystery Bonus round provides four bonus games and these are selected at random. There is a Pumpkin Bonus, a Secret Vault bonus, a Spell Book bonus and a Magic Potions bonus.